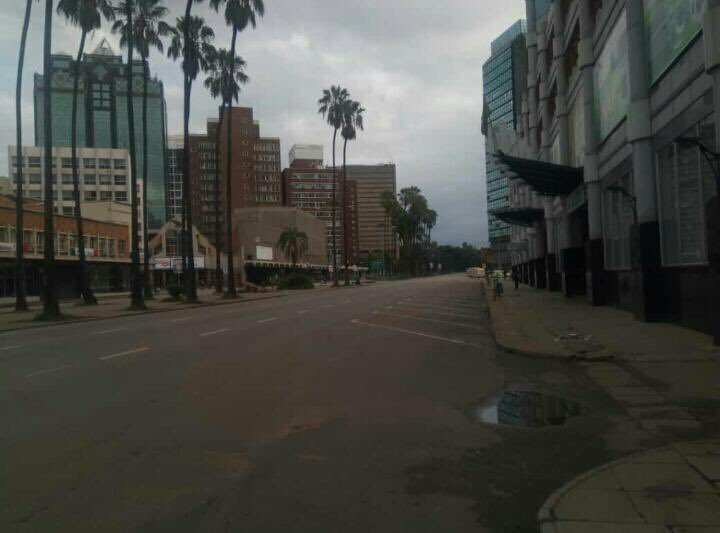 0757hrs Robert Mugabe Street in the CBD #Harare. The violence has deterred the citizens. No one whats to be caught in cross fire or to walk long distances back home.